Through the project partnerships between University or University colleges and schools were established. Students take reasonability to prepare pupils for the access and working methods within academia. Both sides benefit of this partnership, as students learn to teach and take responsibility and pupils are provided on a very practical level the insight of academia but also in an emotional level might lose the fear of it. This project prioritises students from disadvantaged or vulnerable families that might have problems in school and are therefore in need of role models, which they get from an older student. acquire or increase social competences. The tutor (student) is a role model. acquire or increase social competencies. learn how to listen to pupils. the student is a role model. It has been observed that a certain group of students has problems in studying, obtaining their studies, based on their family background and the problems they face during studies. In order to facilitate their studying experience, they are given a tutor, a person who would guide them through their university period, advise them and assist in several situations. This is developed to meet need in society as well as the institutional need, in order to decrease the dropout rate from higher education. This project prioritises students from disadvantaged or vulnerable families that might have problems in school and are therefore are in a need of role models. Students are peer-tutors for pupils in a secondary school. The selection of pupils is done by the secondary schools and is for pupils with specific difficulties due to their background (migration, situation of poverty, etc.). Target group: Pupils with specific difficulties due to their background (migration, situation of poverty, etc.). General student population, ethnic minorities, from lower socioeconomic backgrounds, from migrant backgrounds, mature students. The initiative has the support of the local authorities as well as of the government. This problem has been realised by many stakeholders and they have devoted themselves in putting additional efforts into supporting students in their studying life. Taking into account a diverse society Flanders has, especially considering migrants, this policy together with several others comes in line in order to ensure that students from various backgrounds are well integrated in the higher education. The pupils are selected by the secondary school in consultation with the pupil and his or her parent or parents. Between the school and the higher education institution is a partnership made up. the way student for his or her job is rewarded by credits or other means. At the end of the student tutoring project there is a final report. The Minister may establish minimum rules on what should be included. In the final report should include at least one financial report. Antwerp University students who passed for all exams in the first academic year are allowed to teach. In last academic year 142 students were teaching during one and/or two semesters. 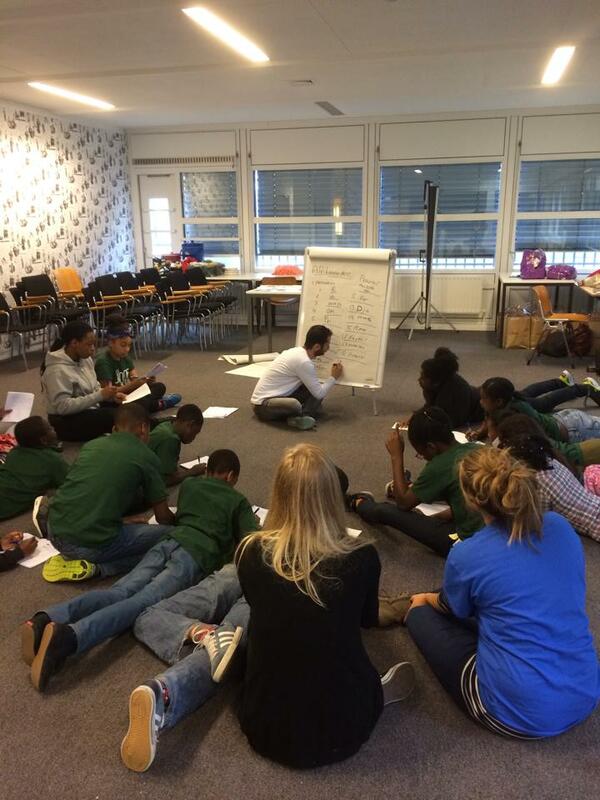 In total there were 102 lessons organised in 16 secondary schools in and around Antwerp. Based on the evaluation form made at the end of a previous academic year, Antwerp University can conclude that overall satisfaction was presented and thanks to these lessons pupils have got more self-confidence, passed for more tests at school and have more insight in different subject. The lesson has a maximum duration of 90 minutes and is given in groups of minimum 3 and maximum 8 pupils. The tutors are allowed to give lessons focused on professional support so the pupils coping with some problems related to one of the subjects get the opportunity to improve their skills. Yearly more than 100 students are enrolled in the student tutoring project. These students are participating in this project voluntarily. Since this academic year also students from the nursing faculty of Karel de Grote University College are tutoring in a framework of the course “Educator@healthcare” and students of journalism and communication management from Artesis Plantijn University College are tutoring in a framework of the course “ZAP”. The students interested in this project have to fill in the application form and mention which subject they want and can teach, in which semester they are available and what his / her background education is. Also tutees from different secondary schools have to fill in the application form if they want to follow courses related to this project. The detailed application form you can find here. Project is based on volunteering support as well as on the coordination of staff. It is mostly covered by the Flemish government, and therefore, as long as the system has been created, sustainability is guaranteed, as long there is a need for this initiative to run. The project hasn’t been replicated elsewhere so far. Student tutoring is supported by the Flemish government of education. Higher education institutions can get a financial fee to organize a tutor project. The initiative naturally depends on the volunteering students to join the programme. The project “Tutoraat” is supported by BNP Paribas Fortis, Antwerp University, Association University and University Colleges in Antwerp, Zonta Serviceclub, Flemish Ministry of Education and the Advisory Board of Antwerp for King Baudouin Foundation (realised with the support of ExxonMobil). The intervention is showing very good results. The feedback received from students and their families is very good and a track record of those students has been increased. Exact numbers are at the moment not available, but the obvious measure will be the dropout rate, which should be decreased as a result of the project.